Dr. Richard America offers his views on how historically Black colleges and universities can go about a transformation so that these higher education institutions can thrive in the twenty-first century. The People’s Republic of China will award 1,000 scholarships to undergraduate and graduate students at historically Black colleges and universities to study in China for periods ranging from three months to two years. Eighteen teams were penalized for the poor academic performance of their student athletes by being declared ineligible for postseason competition in the 2013-14 academic year. 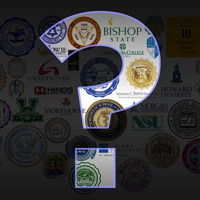 Of these 18 teams, 15 were teams at historically Black colleges and universities. Richard F. America, professor at the McDonough School of Business at Georgetown University in Washington, D.C., offers strategies on how historically Black colleges and universities can compete in today’s world of higher education.